Emily Mortimer & Hubby Alessandro Nivola Couple Up at 'The Party' NYC Screening! Amy Adams' Celeb Pals Support Her at 'Arrival' NYC Screening! 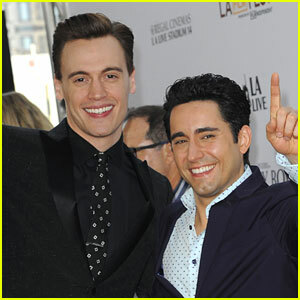 Sarah Paulson Has Theatre Night At Off-Broadway 'Love, Love, Love' Performance! 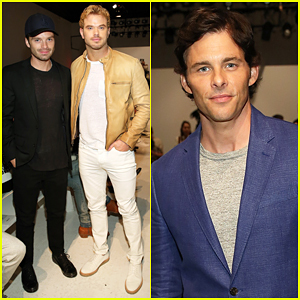 Sebastian Stan, James Marsden & Kellan Lutz Make It A Stud Fest At Todd Snyder Fashion Show! 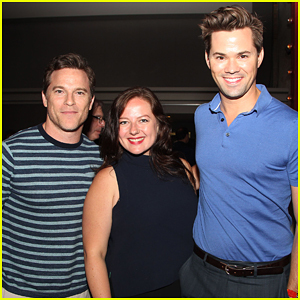 Andrew Rannells & Boyfriend Mike Doyle Celebrate HBO's 'Suited' Premiere! 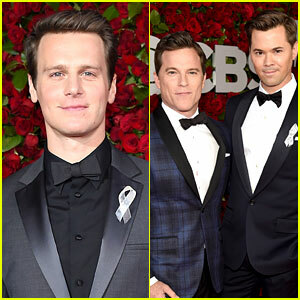 Hamilton's King Georges Jonathan Groff & Andrew Rannells Suit Up at Tony Awards 2016! 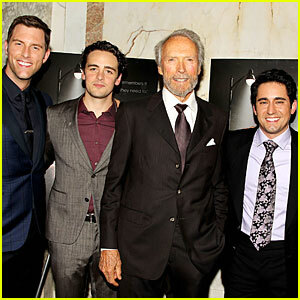 Clint Eastwood & 'Jersey Boys' Cast Look Handsome at NYC Screening! 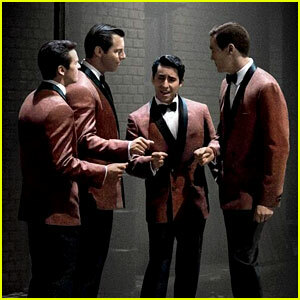 'Jersey Boys' Movie Trailer - Clint Eastwood Brings Broadway's Hit to the Big Screen!